The GPAA Ransomware is a malicious computer virus that seeks to encrypt sensitive user data on the victims computer. All processed files are renamed with the .cerber6 extension and the victims are blackmailed to pay a large ransom fee. Read our complete removal guide to learn how to restore your computers and recover the encrypted files. How Does GPAA Ransomware Infiltrate the System? The GPAA ransomware is distributed in a limited attack wave that targets mainly English-speaking users worldwide. As it is made by an unknown hacker or criminal collective we cannot judge the primary infection method. We suspect that coordinated email spam messages are one of the primary strategies. 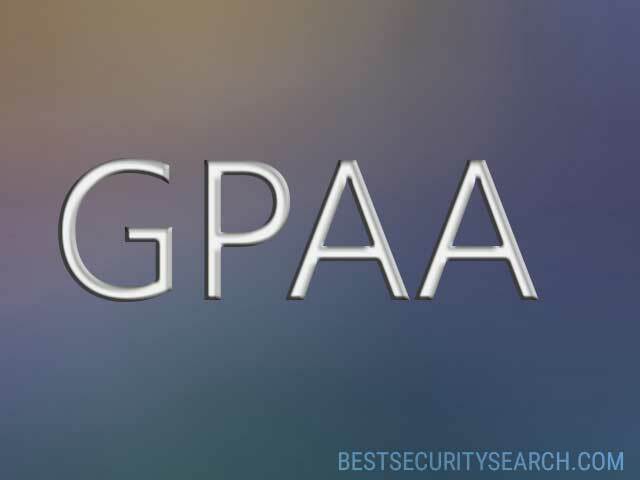 The hackers send out templates that resemble legitimate and well-known companies or government institutions and attach the GPAA ransomware samples directly. In other cases they are linked in the body contents. The inclusion of the GPAA virus code in infected documents or software installers is also used by the hackers. They are distributed on hacked or hacker-controlled download sites and P2P networks like BitTorrent. Web redirects and malicious ad networks can also be utilized to spread the virus over ordinary sites as well. GPAA ransomware is a recently identified computer virus that does not appear to contain any code sourced from the famous malware families. At its current state it features only an encryption engine that seeks to process sensitive and user files according to a predefined list of target file type extensions. Congradulations! Now you are a member of GPAA (Global Poverty Aid Agency). We need bitcoins, our crowdfunding goal is to get 1000 BTCs. 1 BTC for 1 CHILD! >> Click Here To Buy Bitcoins << Q: What happened? A: Ooops, your inportant files are encrypted. lt weans you will not be able to access them anyeore until they are decrypted. These files could NOT be decrypted if you do not have the KEY (RSA4096). Q: How can I get the decrypt programme? A: Your task is 10.91 btc. Send the correct amount to the bitcoin address 19ZLfCEpxdskvWGLLhNUnM6dUG7yikhz2W You can send more coins. When the goal is achieved, you will get the decrypt programme. Q: Where to get the decrypt programme? A: When the goal is achieved, we will send it to [email protected] (You may register it first with the specified password: Save1000Children!!! ). The criminals behind the GPAA virus use social engineering tricks to make the victims pay the requested sum – 10.91 Bitcoins which is the equivalent of about 28630 US Dollars. They have also posted an email that can be used to contact them. WARNING! Manual removal of GPAA Ransomware requires being familiar with system files and registries. Removing important data accidentally can lead to permanent system damage. If you don’t feel comfortable with manual instructions, download a powerful anti-malware tool that will scan your system for malware and clean it safely for you. WARNING! All files and objects associated with GPAA Ransomware should be removed from the infected PC before any data recovery attempts. Otherwise the virus may encrypt restored files. Furthermore, a backup of all encrypted files stored on external media is highly recommendable.